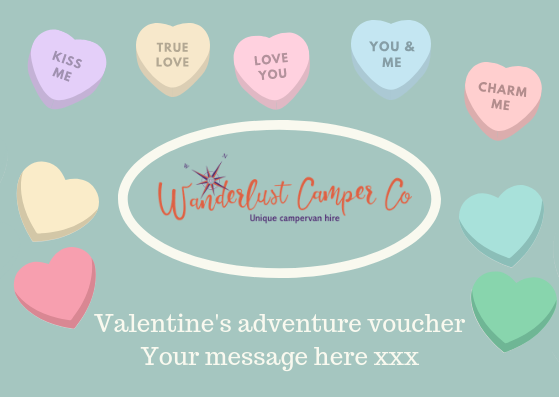 Valentine Gifts - Wanderlust Camper Co.
Make lasting memories in 2019 with our glamping-style campervan hire. 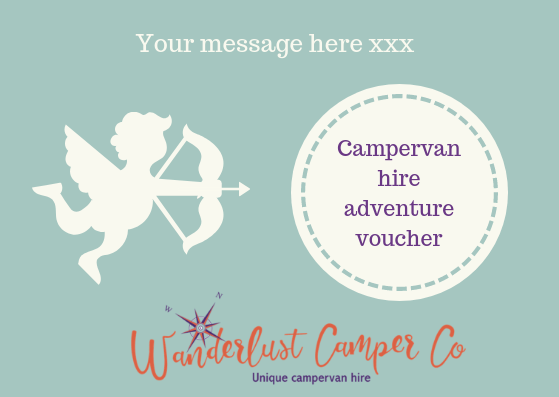 Whether it be an adventurous roadtrip, a fun family holiday or a fabulous festival experience, our Valentine's gift vouchers can bring you the romance of campervan adventure! ​such as late check-out or one of our optional extras (view here). 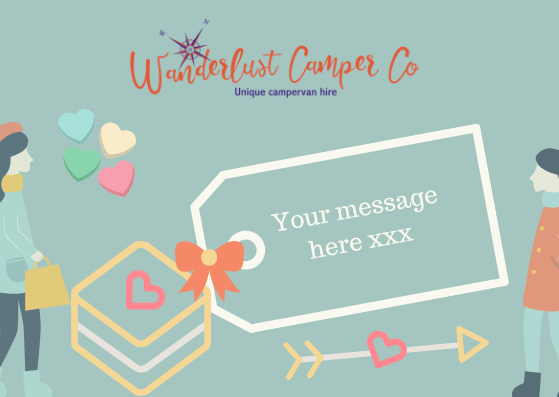 Book a break or choose a gift voucher amount, send us your personalised message and choice of voucher and we'll do the rest! Or phone 0845 388 9958. ​Hire dates are subject to availability and rates vary depending upon duration and dates. Rates may change and will be charged at the rate at time of booking. 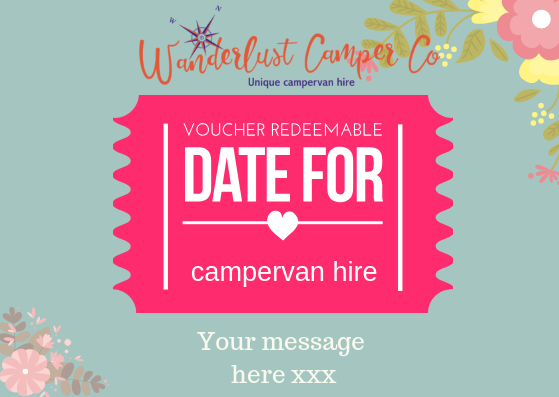 Bookings made using the voucher can be moved with no penalty for moving the dates by 28.02.19 however, please note that if you change the dates to a different price range there may be a price increase or decrease - please check our rates table for more information. Standard terms of hire and subject to availability for rental period. Must be presented at time of booking. Valid only with proof of purchase. Valid for 1 year from date of purchase. May be used as full or part payment. No refunds or cash alternative. £150 or 20% reservation fee applies to book. Vouchers may be redeemed against reservation fee. Allow 48 hours to receive voucher and code. Last day to order to guarantee for Valentine's Day 11.02.19 3pm.